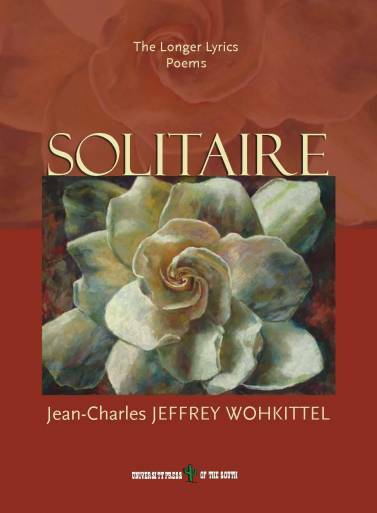 Jean-Charles Jeffrey Wohkittel’s poetry is a solid and defiant, not a ‘broken, mirror-glass,’ of our world’s crude reality, and the epitome of our common fears. With pride Wohkittel claims his status: ‘I am the poet bringing forth a new face and character’ (Character). 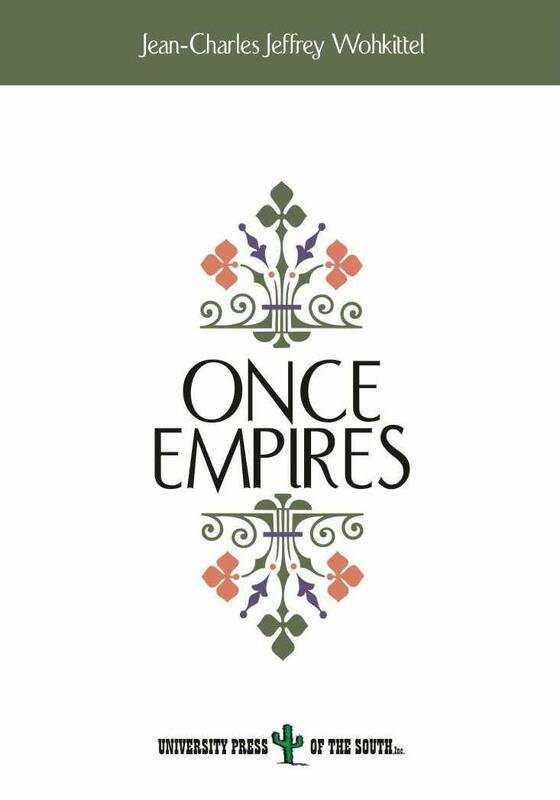 Knight of the word, he denounces man’s war games that have tainted our Weltanschauung with a lyrical strength grown thru four previous books of poetry and invigorated one free verse after the other. ‘The war sun’ has burnt soldiers’ eyes, and those of politicians as well; even if ‘the sun eventually became peaceful’, as Wohkittel would like us to believe, it might have blinded our poet for good, turning him into a modern Tiresias, a prophet inspired by furious Gods and condemned to chant ‘the seasons of years of rejuvenation’ forever (Porcelain Duck). ‘No poet can balance the petals of the dogwood,’ warns the New Jersey bard (Flowering, Trees, and Bush), but he certainly will not satisfy himself in being just a mere spectator of our glories and failures, accompanied by Muse Terpsichore's lyre. Poet Jean-Charles Jeffrey Wohkittel is an actor and a soldier, brother among brothers at King Henry V’s side on the Eve of Saint-Crispin’s Day at the Battle of Agincourt, ‘five hundred years of mattes’ (Dance). Peasant, he sees faith and doubt in Joan of Arc’s eyes, walking with her from Domremy to Reims. He might even have guided her to find the French King within the assembly of Nobles (C’en est donc fait du scandale de la Croix?). Moreover, Jean-Charles Jeffrey Wohkittel is not just a poet, he is an American poet. That was most evident already with his first two volumes of poetry, Once Empires, and above all, Requium. Poems of the Vietnam War and the Cold War. His critical patriotism shines throughout this new volume, Perigee. Empathy for the fallen righteous one – Dallas, ‘the shot’ – and shame for the corrupt one – ‘Nixon of Warren’ – ; but...wait a minute: was the righteous so righteous after all? ‘Kennedy’s mob became…Nixon’s.’ Jean-Charles Jeffrey Wohkittel is neither gulled nor dumb. He is the fou du roi, King’s jester more than buffoon. Only the poet can mock all the modern elected sovereigns and their ‘historical rationale’ (Boston’s Austrian Banks). Like French Revolution poet André Chénier before him, Jean-Charles Jeffrey Wohkittel is a ‘Patriot of signs’ (Allaire). He scolds the weak and the coward. 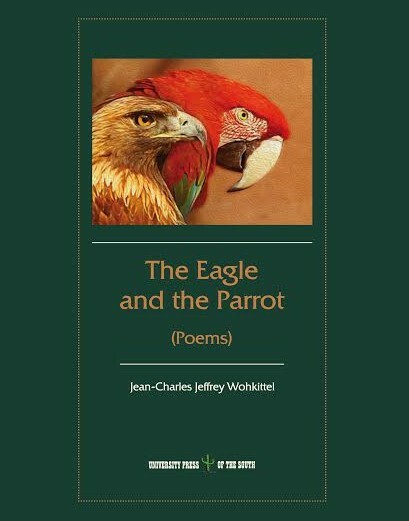 Reminding us of his most recently published book of poetry, The Eagle and the Parrot, Wohkittel knows well that for one eagle crossing the Delaware River on his way to immortal glory, there are many parrots crossing either the Watergate Building or the Oval Office’s door with a female intern on their way to flirt with infamy and the damnatio memoriae, or as Wohkittel puts it: ‘The Narratives of the White House or its IMPOSTEURS’ (Isolated). Jean-Charles Jeffrey Wohkittel’s poetry is certainly a renewed call for Impeachment time after time, from the Persian Gulf (To Helen) to Iran-Contra (Deus Ex Machina); but it is also a never satisfied thirst for justice. Like Martin Luther King, Jr. before him in his ‘I Have a Dream’s Speech,’ Wohkittel ‘refuses to believe that the bank of justice is bankrupt’. 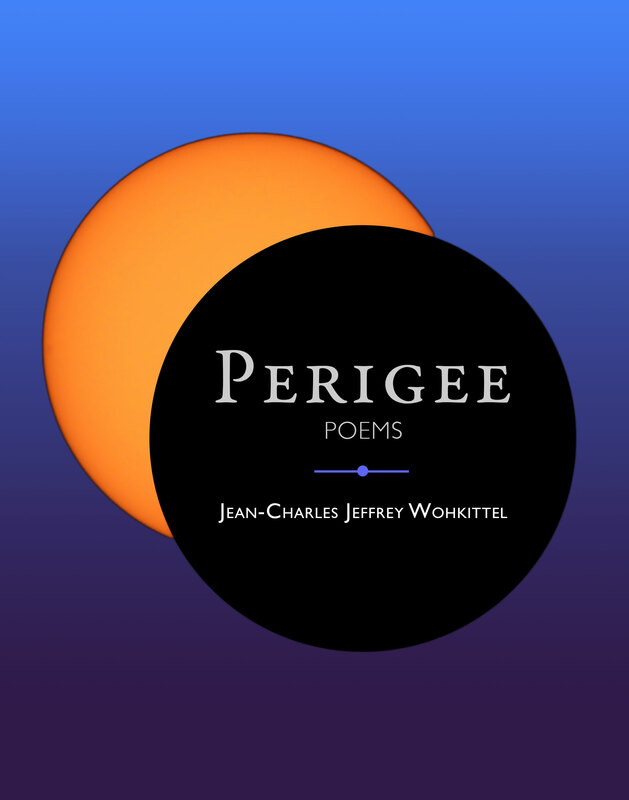 The poet urges us to protect ourselves from all ‘militant guards of the Forts of Illegitimacy’ (Last, Rose of Autumn, or, Last, Rose), defining his eminent role through his verses, which is writing ‘the narratives of the wounding’ (Perigee). Jean-Charles Jeffrey Wohkittel, one of the most noble and demanding consciences of modern America, is ‘the brown pelican [who] timelessly defines the wave line/Between the red and blue and ocean and sky’ (Pelican Visitation). El Banquete de Tonatiuh. Poema lírico (2016). ‘Jean-Charles Jeffrey Wohkittel es un poeta americano de poesía vigorosa y no siempre fácil, de gran riqueza y selección de lenguaje. En su condición de norteamericano emana un patriotismo crítico ante el mundo internacional y ante el desempeño histórico que ha venido cumpliendo su nación. No lo puede eludir. Es la condición de un poeta hijo de una sociedad que se basta a sí misma, pero que inevitablemente debe enfrentar otras culturas que difícilmente llega a comprender (la carencia de sentido de alteridad, diríase). De ahí derivan sus errores tropiezos graves y callejones sin salida que suelen caracterizar su política internacional (Vietnam, Irak, etc…)’. Their way back to the streams and habitat of their wedding. In a week after the hatch, the ducks and hatch are gone. A memory, their ritual nature, a priest and his nun. Arrived and departed within spring’s flowery wave. Both mattered greatly or of the lack mattered not at all. Unless recorded within by some local, written history. Is silent, and debate for the next aqueous brood bred. So contrasted the immutability of nature’s antidæen sea. Raw and unseeded, their alleged bridges in shrouds! The action, only past onshore, not a sonnet remaining! Barabbas’ clamor, praising the interregnum’s heist! The glory of white lilac’s heavenly scent. So, the pedestrian passes by the season. Before; but no spectra of light, ever, so lent. Across the field, of this capable view, of variation. But metallic color: wood unblindfolded. In a background of trees, another, blood red! In this landscaped garden common good. Landscape with ducks, the architect, usurper! With a pre-historic visitor, the brown pelican. And the dark end of the spectrum it contracts. Than a hiatus in the system of the habitat. All truth, by the one who gets the fish! Between the red and blue and ocean and sky. And red, of sunlight yellow or white gold. That would not be, of the difference, a physical reality. Only its own, transcending deluge and scripture. In the daytime sunlight continuum of measuring, … . The nominative brown suggestion is an history. 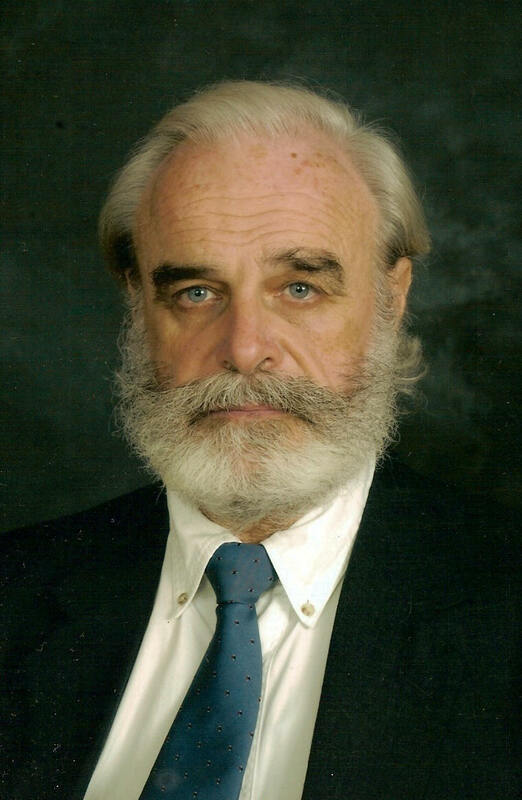 Of Korea’s Herbert Brownell, Attorneys General. The brown pelican punctuates, hunting and fishing. One dive penetrates the span of littoral time. Marie Avignon of Viet Viennese Terror. The Justice “Deal” for Gassy Knoll money. The pelican strikes the ocean surface for fish. Of Law, the absent pelican, and the lawless sea. studied poetry and literary stylistics at Wesleyan University, before becoming Program Director for National Security Affairs. The Eagle and the Parrot. Poems. Requium. 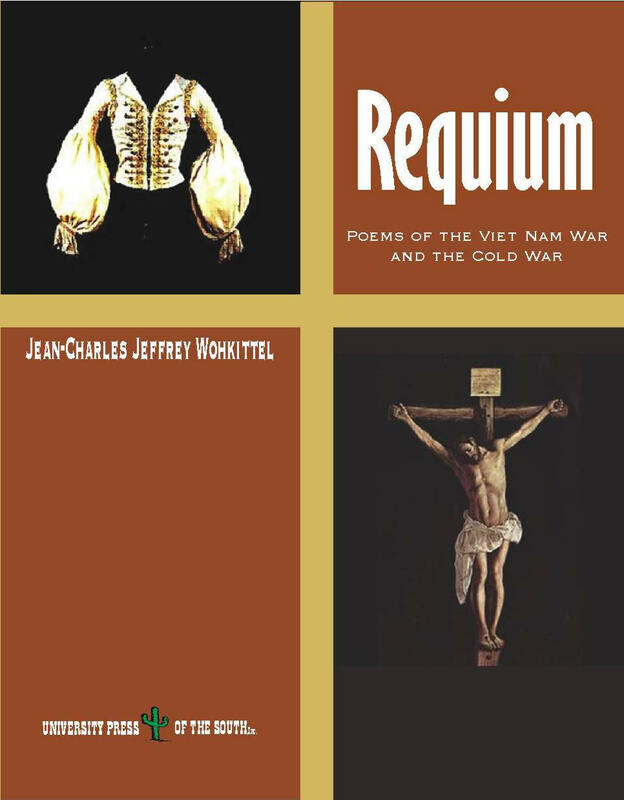 Poems of the Vietnam War and the Cold War.